The shortest trip of the season today. 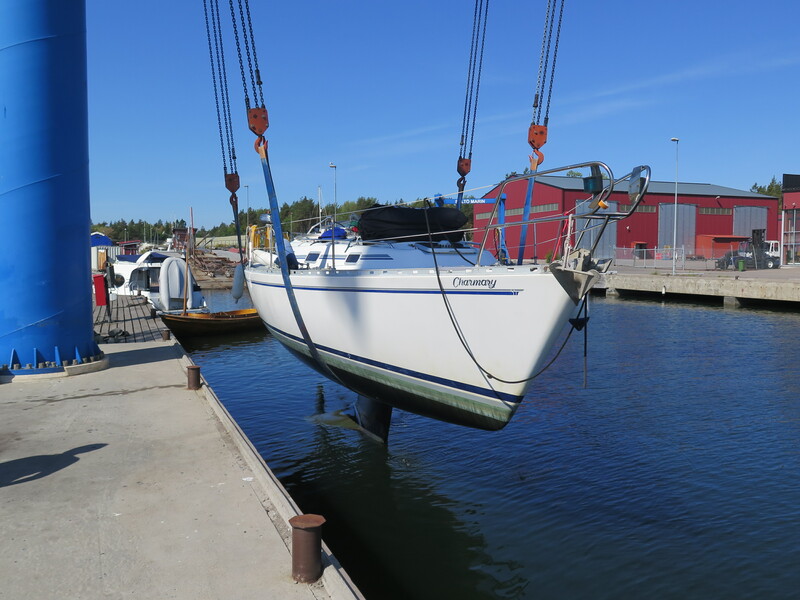 At 7.15am we headed out from Oxelösund Fiskehamn and briefly went out into the channel (but only to warm up the engine to do an engine oil change!) and then back in to alongside at Oxelösunds Båtvarv. We did the engine winterisation and service and removed all the shrouds ready for the mast to come down and, on the dot of when they said (at 9.30am) they took the mast down and half an hour later, the boat came out of the water. The rest of the day was spent tidying up and on various jobs ….